Enjoy a discounted rail pass as a tourist in Japan to easily explore major cities in Kansai! Book in advance in Klook and enjoy a better price than on spot! Convenient to use across the region. Instruction is quite clear. Simply redeem your voucher for a JR Kansai Wide Area Pass as soon as you arrive in Japan and get ready to explore the wider region of Kansai for the next 5 days. If you've finished sightseeing in Kyoto or Osaka, just 1 hour 35 minutes away from Hiroshima by Shinkansen high speed rail sits Okayama, known for its fruit orchards and abundant natural beauty. 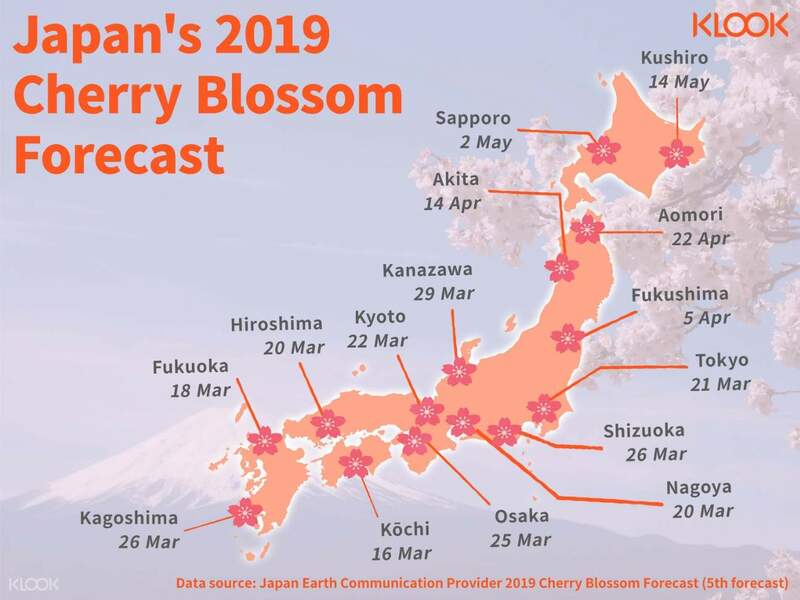 Travel to its neighbouring towns such as Kurashiki, Shirahama, and Kinosaki Onsen for different attractions including hot springs, shores, and amusement parks. This pass is definitely the easiest and fastest way to explore a wider range of Kansai region and an essential travel pass for Japan! 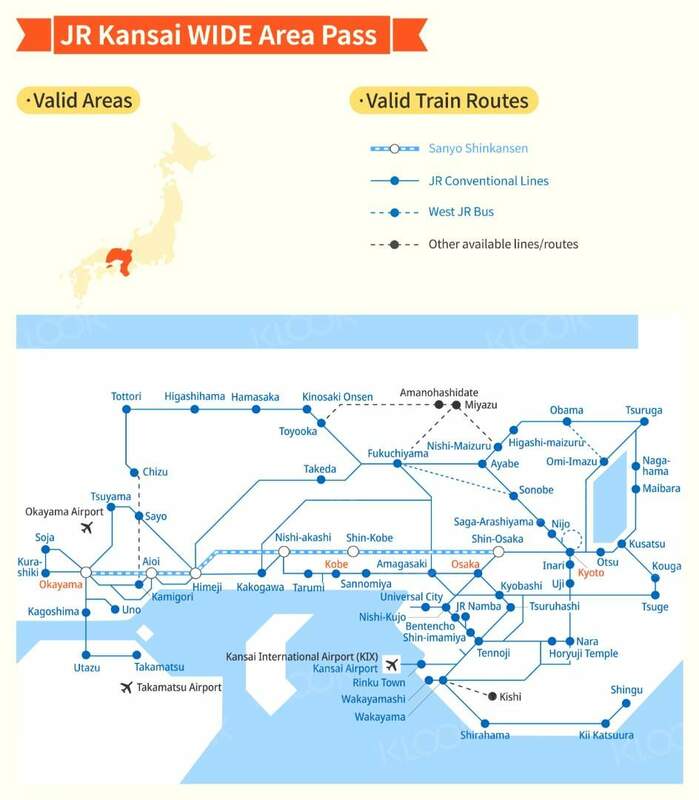 See all accessible locations with this JR Kansai WIDE Area map! This pass can used Shinkansen to Okayama ,Himeji and Kobe .A part of pass use Thunderbird for Kyoto. Is it worth the money you pay. When you use this pass just show for officer only .it’s very comfortably. This pass can used Shinkansen to Okayama ,Himeji and Kobe .A part of pass use Thunderbird for Kyoto. Is it worth the money you pay. When you use this pass just show for officer only .it’s very comfortably. First time am using the pass. I used the pass to Takamatsu, origin place of sanuki udon located on Shikoku Island; spend a night at Kinosaki Onsen town and had a fantastic crab meal. Cheap and fresh enough. Travel to Amanohashidate - spine sand bar near to coastal region north of Kyoto. Tried their famous clam lunch meal. What a wonderful journey and I save a lot on transport by using the pass. First time am using the pass. I used the pass to Takamatsu, origin place of sanuki udon located on Shikoku Island; spend a night at Kinosaki Onsen town and had a fantastic crab meal. Cheap and fresh enough. Travel to Amanohashidate - spine sand bar near to coastal region north of Kyoto. Tried their famous clam lunch meal. What a wonderful journey and I save a lot on transport by using the pass. Using this pass was the best experience ever. Went to Himeji, Kobe, Kyoto, Nara and Tottori with this pass. It was really easy when using it. You just have to show it to the staff at the train station. Unlimited ride of the shinkansen back and forth. Totally worth it. Taking the shinkansen is one of the best experience as well. I also went up to Tottori without having to pay extra. You can just take the limited express train Super Inaba from Kamigori Station if u wish to go to Tottori and enjoy the countryside view while on the train. U can also go to Tottori direct from Kyoto using the limited express Super Hakuto. Keep track of the train schedule first to make sure which is the correct train to take. I recommend Hyperdia website to check all the train schedule and routes which all of the timetable is accurate and Japan's train almost rarely get delayed. I had not paid extra money while using this pass. I love it. Will use it again in the future. I had a great time in Japan. Using this pass was the best experience ever. Went to Himeji, Kobe, Kyoto, Nara and Tottori with this pass. It was really easy when using it. You just have to show it to the staff at the train station. Unlimited ride of the shinkansen back and forth. Totally worth it. Taking the shinkansen is one of the best experience as well. I also went up to Tottori without having to pay extra. You can just take the limited express train Super Inaba from Kamigori Station if u wish to go to Tottori and enjoy the countryside view while on the train. U can also go to Tottori direct from Kyoto using the limited express Super Hakuto. Keep track of the train schedule first to make sure which is the correct train to take. I recommend Hyperdia website to check all the train schedule and routes which all of the timetable is accurate and Japan's train almost rarely get delayed. I had not paid extra money while using this pass. I love it. Will use it again in the future. I had a great time in Japan. When you travel to Japan and are going from one place to another most of the time to see as much places and attractions as possible, then this 5-day pass is the way to go. We started using it upon arrival at Kansai Airport. It includes Kyoto, Nara, etc. and Shinkansen from Shin-Osaka to Okayama in the West and back. Since we stayed for 8 days, we just bought another 3-day Kansai pass for ¥5,500 (or P2,584 equivalent) and we fully utilised it until our departure at Kansai airport. These passes however excludes Tokyo. The 7-days pass would include Tokyo that costs around P14,000 plus which is about the same as a round trip to Tokyo. When you travel to Japan and are going from one place to another most of the time to see as much places and attractions as possible, then this 5-day pass is the way to go. We started using it upon arrival at Kansai Airport. It includes Kyoto, Nara, etc. and Shinkansen from Shin-Osaka to Okayama in the West and back. Since we stayed for 8 days, we just bought another 3-day Kansai pass for ¥5,500 (or P2,584 equivalent) and we fully utilised it until our departure at Kansai airport. These passes however excludes Tokyo. The 7-days pass would include Tokyo that costs around P14,000 plus which is about the same as a round trip to Tokyo. Loved this pass. 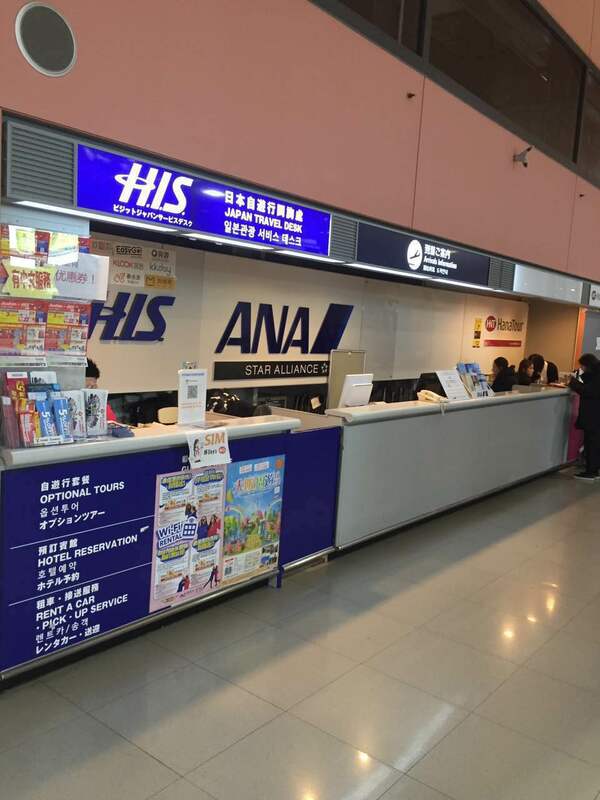 Upon arrival, you can immediately use it and ride the Haruka express train from Kansai airport to Kyoto. It also includes the Shinkansen from Shin-Osaka to Okayama, so it was really worth it if you plan on visiting Himeji Castle. You must carefully plan out your itinerary to make full use of this. I just wish it had a 7-day option as well. Loved this pass. Upon arrival, you can immediately use it and ride the Haruka express train from Kansai airport to Kyoto. It also includes the Shinkansen from Shin-Osaka to Okayama, so it was really worth it if you plan on visiting Himeji Castle. You must carefully plan out your itinerary to make full use of this. I just wish it had a 7-day option as well. The Shinkanssen experience was great. Just exchange your voucher to JR stations and you are now ready to go. We travelled as far as Okayama. Remember: Shin-Kobe station is very far to Kobe station. The Shinkanssen experience was great. Just exchange your voucher to JR stations and you are now ready to go. We travelled as far as Okayama. Remember: Shin-Kobe station is very far to Kobe station. This pass is a must-have if would like to explore the farther areas in Kansai, like Okayama, Himeji, and the like. The best thing with this is that you can ride the Sanyo-Shinkansen line which is a great value added to the pass. Plus, you don't need to queue for tickets; just go straight to the side gate and show it to the station personnel to let you pass through. This also includes airport rapid express, if I'm not mistaken, but we haven't tried it since we activated it not on the same dates of our flights. There are a lot of stations under JR lines, so make sure your accommodation is near a JR station so you could use this pass unlimited to go to and from your hotel. Famous tourists spots are also accessible through the JR lines, so it is highly recommended to have this pass. This pass is a must-have if would like to explore the farther areas in Kansai, like Okayama, Himeji, and the like. The best thing with this is that you can ride the Sanyo-Shinkansen line which is a great value added to the pass. Plus, you don't need to queue for tickets; just go straight to the side gate and show it to the station personnel to let you pass through. This also includes airport rapid express, if I'm not mistaken, but we haven't tried it since we activated it not on the same dates of our flights. 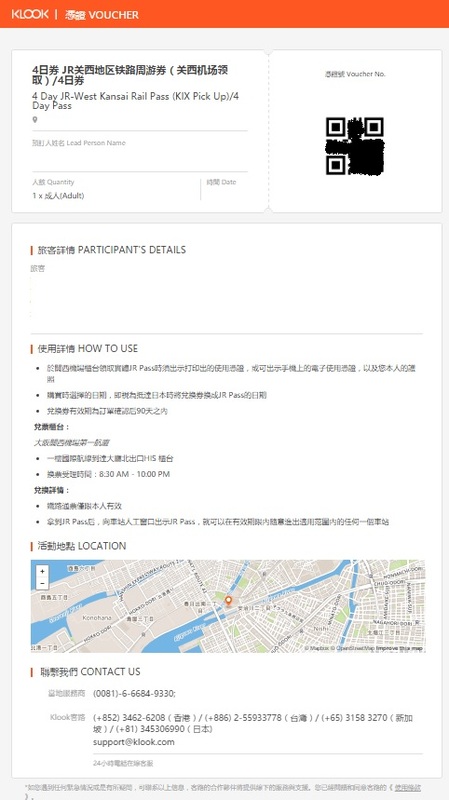 There are a lot of stations under JR lines, so make sure your accommodation is near a JR station so you could use this pass unlimited to go to and from your hotel. Famous tourists spots are also accessible through the JR lines, so it is highly recommended to have this pass. very easy to pick up the pass. Although we arrived close to midnight coz of our flight delayed and the HIS counter at KIX airport terminal already close, we still able to collect our passes at OCAT Namba. Very convenience to use and is a super value pass which helps us save a lot of money on train tickets.as we travel across West Kansai. A must to have if you plan to travel around Osaka and Kyoto. very easy to pick up the pass. Although we arrived close to midnight coz of our flight delayed and the HIS counter at KIX airport terminal already close, we still able to collect our passes at OCAT Namba. Very convenience to use and is a super value pass which helps us save a lot of money on train tickets.as we travel across West Kansai. A must to have if you plan to travel around Osaka and Kyoto. In Osaka and Kyoto is not fully cover by JR company, unless you did a well planning in your trip and this pass can fully well utilise it. In Osaka and Kyoto is not fully cover by JR company, unless you did a well planning in your trip and this pass can fully well utilise it. Q: I’m confused…what’s the difference between the voucher and the JR Pass? A: The date you select when booking is the date you intend to exchange your voucher for your JR Pass at Osaka Kansai Airport. The date selected is just for reference. You can redeem for your JR Pass on any date within the validity period. A: Passes must be booked at least 3 business days in advance. A: Please present your Klook voucher (electronic or physical) at the HIS Office/Counter at Osaka Kansai airport to redeem your JR Pass. Q: Do I need my passport to pick up for the JR Pass? 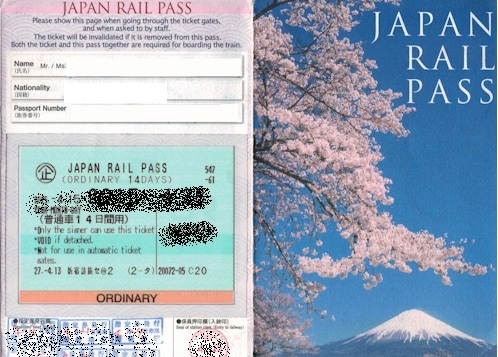 A: When redeeming the exchange orders for the actual pass in Japan, each traveler MUST bring the original passport associated with the order to receive the pass. Copies of passport information pages are NOT accepted. Q: Can I redeem my Klook voucher at X place in Japan? A: For this pass, you must redeem your Klook voucher (electronic or physical) at the HIS Office at Osaka Kansai Airport to redeem your JR Pass. A: No. 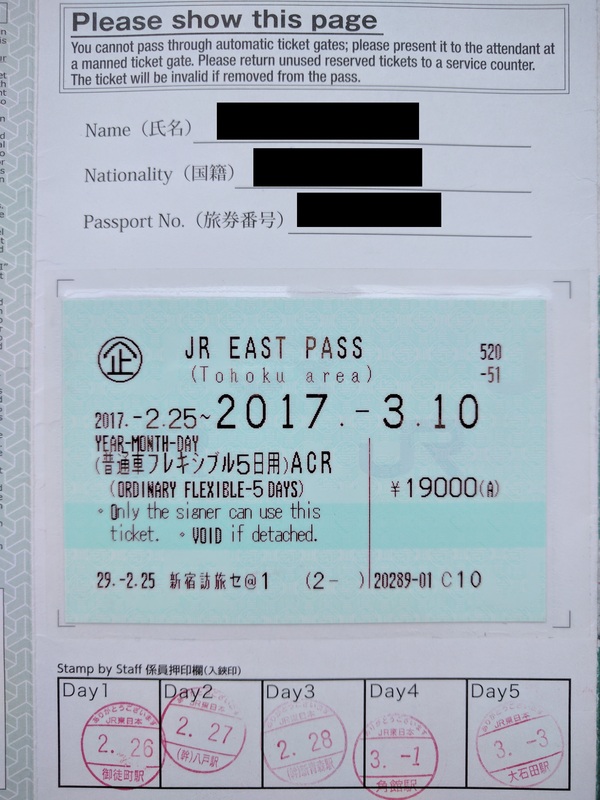 The JR Passes are linked to the personal details on the passports submitted at checkout. You must pick up the passes in person in Japan with the original passport used when booking. Q: Can I just use my Klook electronic confirmation or voucher to exchange for the pass when I arrive in Japan? Q: I was unable to pick up my JR pass on the date I selected, can I cancel my order? A: Free for cancelation made prior to redemption of the voucher. Please contact customer service to reschedule pick up. A: Klook voucher cancelations will be free before redemption. 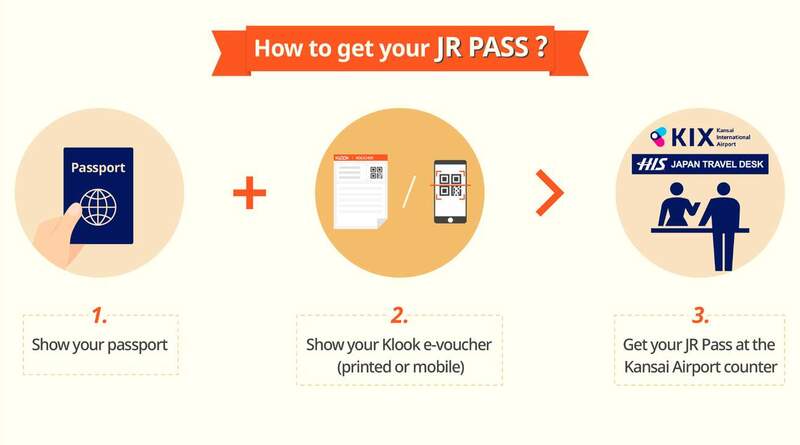 If you have already exchanged the Klook voucher for a JR Pass in Japan, changes and refunds to your JR pass are not allowed.